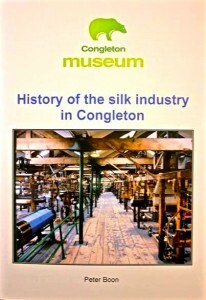 ‘History Of The Silk Industry In Congleton’ – a new publication from local historian Peter Boon is now on sale at the museum! Price £2. Click the image below to view a copy of the newsletter. 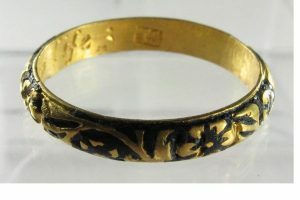 In June, Ian Doughty travelled to the British Museum for Middlewich Town Council to collect a 17th century Gold Mourning Ring. 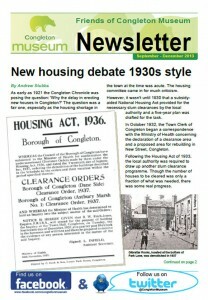 As the only accredited museum in central East Cheshire, Congleton Museum was in a unique position to support Middlewich in ensuring that the ring stayed in the area. This ended a year long wait for this beautiful ring to make its way home. Its delicate and highly intricate decoration and inscription are as clear as the day it was engraved. If the date of manufacture is around 1658-1669 (as is thought), among many possible candidates for the ring’s owner are Frances and Katherine Venables, widows of the last two Baron Venables of Kinderton. A history is being compiled to unravel the story behind the ring. Working in partnership with Middlewich Town Council, Congleton Museum will display this lovely find at a date to be announced later this year. 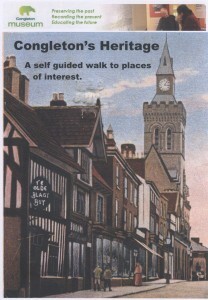 Learn about your town’s history and take a self-guided tour of local places of interest with the museum’s new booklet, Congleton Heritage. Featuring a town centre map, the tour features 15 landmarks including The White Lion, the Town Hall, Bradshaw House, the Congleton Bath House, St. Peter’s Church, the Moody Street Cottages and the Little Street Shops – as well as the museum, of course! The booklet is on sale at the museum for £1.50. 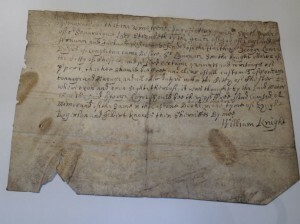 Did you know that Elizabeth I granted Congleton’s inhabitants freedom from tolls in 1585? This confirmed a right granted to Congleton by Henry de Lacy in 1272. The small charter allowed people from Congleton to avoid paying for toll roads, tolls for passing through city walls & tolls for crossing bridges throughout the realm. People from Congleton would get small ‘passports’ signed by the sheriff to demonstrate this freedom to toll collectors. Sadly, Congletonians no longer have this right and they now the have to pay like everyone else. Peter’s tried to assert its religious dominance. course, Primitive Methodism originated in a famous meeting at Mow Cop. For more fascinating information, come to the talk. please bring it to show us.